Not all children require a sleep study for treatment and not all treatments require medication. 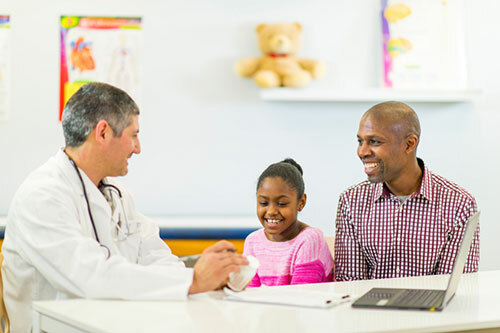 Even if you suspect that the problem is behavioral, you should speak with your child’s physician to ensure proper evaluation. The patient is unable to fall asleep and/or remain asleep for a reasonable amount of time. The patient experiences sleep walking, teeth grinding and night terrors. These symptoms are sometimes associated with stress and depression. A chronic neurological condition caused by the brain’s inability to regulate the sleep-wake cycle normally. Narcoleptics have uncontrollable urges to sleep at inappropriate times during the day. They may also experience muscle weakness after laughing or crying outbursts. The patient experiences the obstruction of the airway passage during sleep. This often results in pauses in breathing. The patient experiences sudden jerking or bending of the arms and legs during sleep. These symptoms can range from small shudders of the ankles and toes to leg kicks and flailing of arms and legs. These periodic movements often wake the sufferer, significantly disturbing the quality of the child’s sleep.